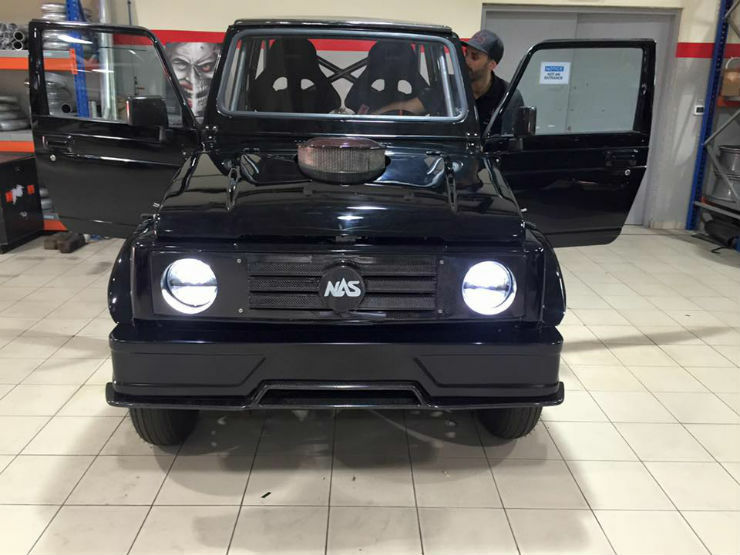 An 800 hp Maruti Gypsy (Suzuki Samurai)? We kid you not! While ‘bonkers’ might be an over-used term, please cut us some slack, because we want to use the clichéd term to describe what’s best described as insanity on four wheels. 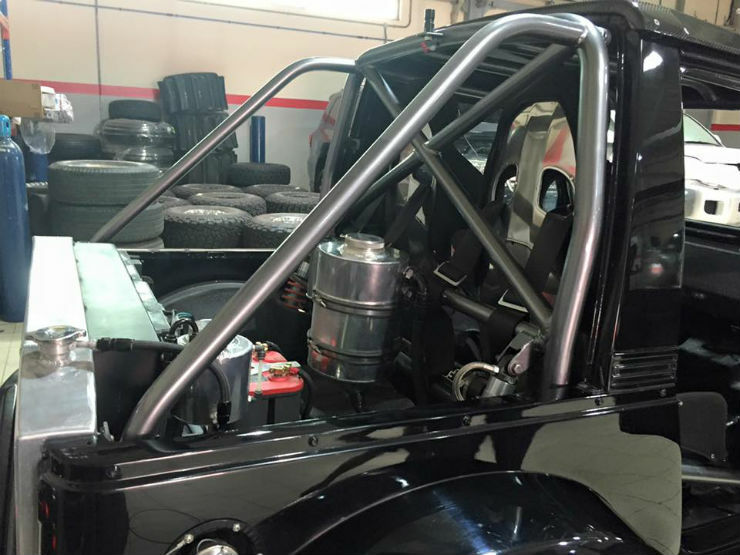 It’s a Suzuki Samurai – Maruti Gypsy in India – with an 800 hp powertrain, modified to rule the drag strip. 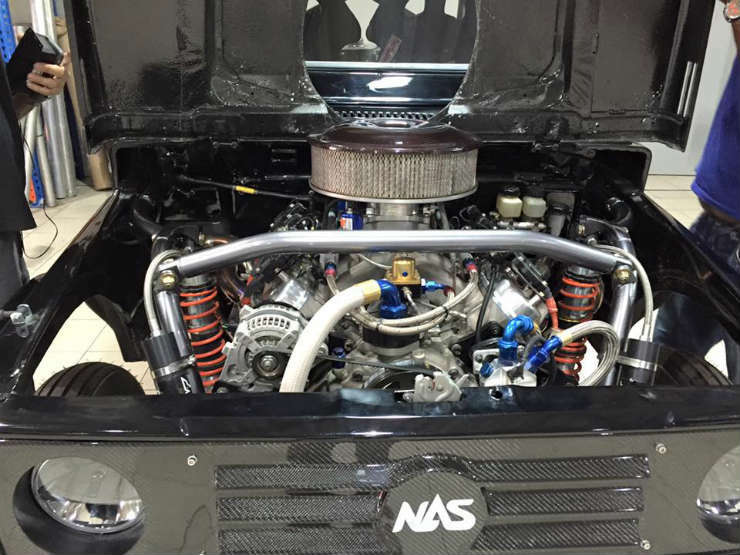 UAE-based NAS Racing has created this monster of a drag racer. 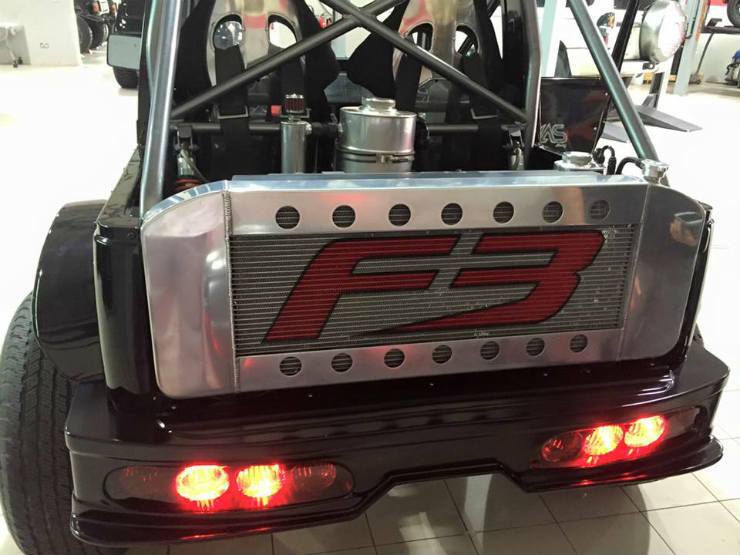 In fact, even the out and out Top Fuel Dragsters might feel a bit intimated by this. 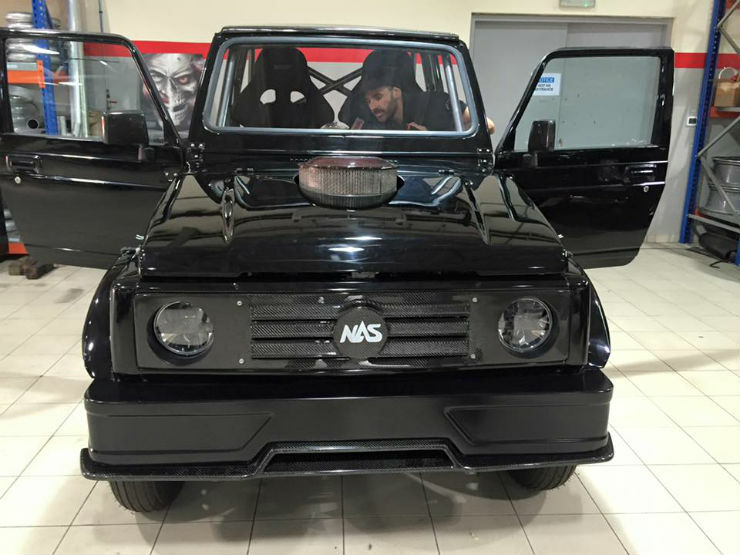 Up front, it has the familiar Suzuki Samurai/Gypsy fascia with a scooped out bonnet, added carbon fibre (for the grille), and NAS’s logo instead of Maruti/Suzuki’s. 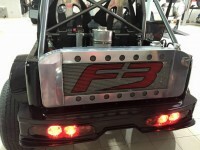 While there’s no real giveaway on the sides, but at the back, it has huge (and wide) rear wheels, a visible roll-cage mounted on the short chassis – which looks shorter due to oversized wheels, what appear to be Toyota Supra’s taillamps, and of course, a radiator in place of the boot. But that’s not all. 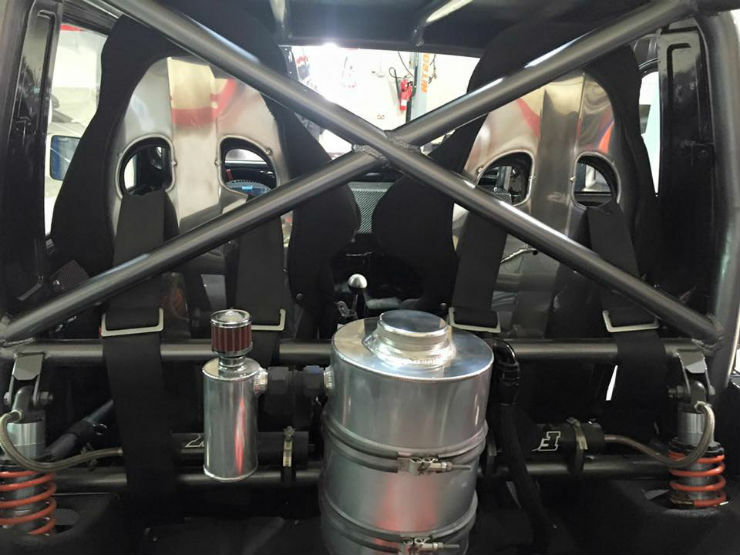 There are two racing bucket seats in the cabin (wonder who’s going to ride shotgun! 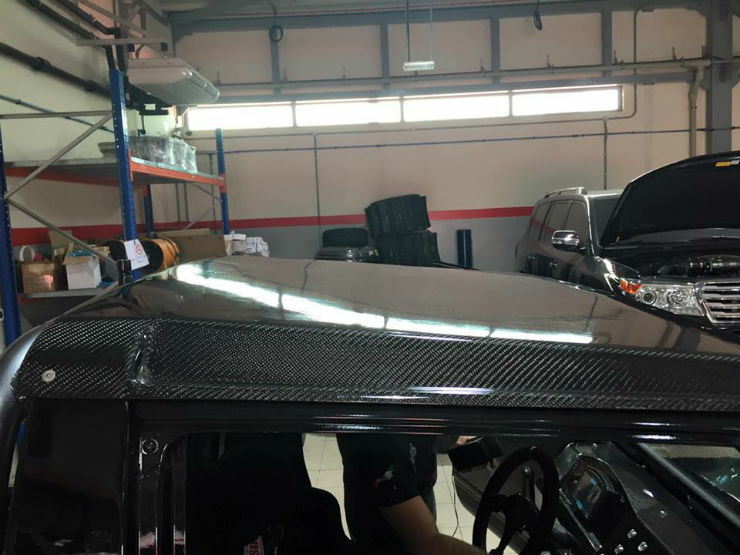 ), some more carbon fibre – even the roof is made of CFRP, and the rest of the full-size roll cage. 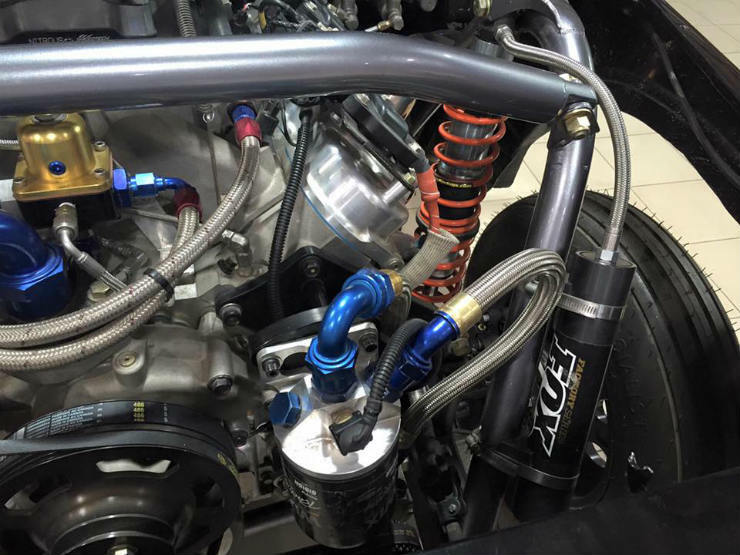 But what will catch everyone’s attention is the hidden bit – the engine. The 1.3-liter unit, which currently powers the Gypsy, has been swapped for a Chevrolet LS3 Small Block V8, which makes around 800 hp here. 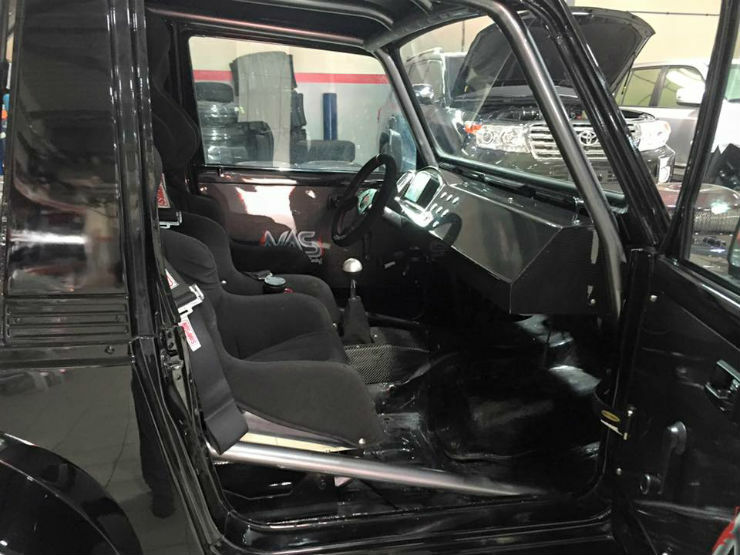 To put it all into perspective, the Maruti Gypsy originally debuted with a 1-liter engine in the country. 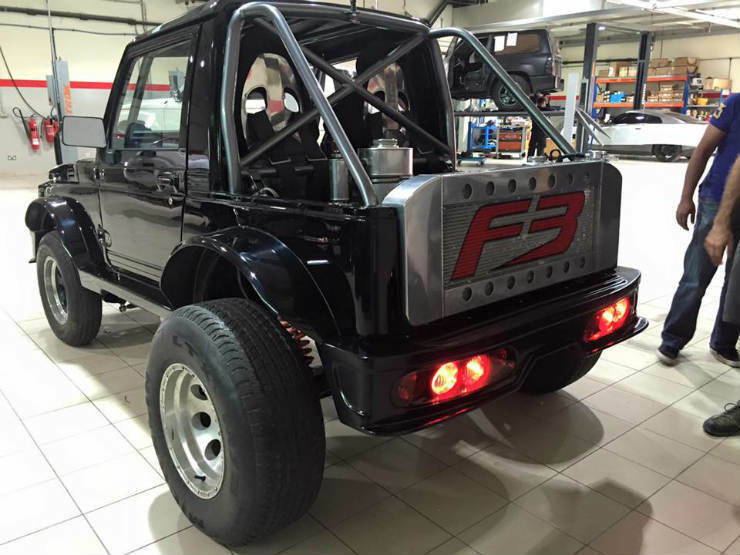 With no more than 65 hp, it still became one of the most appreciated off-roaders in India. So when it was given the larger, 1.3-liter engine (80 hp, shared with the Esteem), it was no doubt going to add a couple of years to its life and a few more feathers in its hat. Even now, without a more powerful engine, the Gypsy continues to rule the hearts of enthusiasts and serious off-roaders. 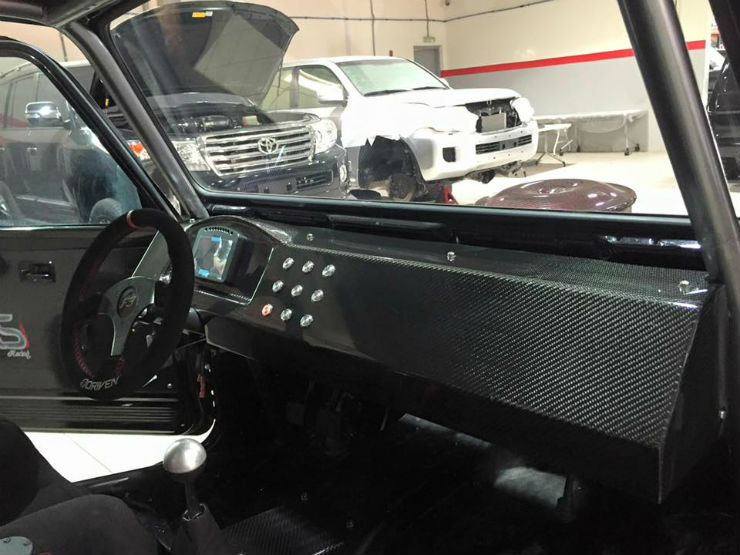 And while updated instrument cluster and added carbon bits might make the NAS’s version more likeable (not to mention, expensive), the Gypsy hasn’t evolved a lot in that regard, either. Wake up call for MSIL? May be.